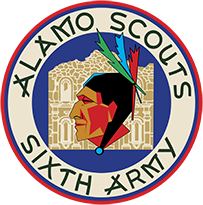 Full Roster | Alamo Scouts Historical Foundation, Inc.
BORG, Robert J. / 2LT / 4th / GRADUATE / Sent to ASTC as an observer for the war department. Returned to states after graduation. DURANT, John L. / 1LT / 4th / GRADUATE / Returned to Original Unit, KIA on 20 Oct. 1944 – Maffin Bay, N.G. HURLEY, Harvey J. / PFC / 7th / GRADUATE / Returned to Original Unit. / Killed in a motorcycle accident, on 14 Aug 1945, P.I. LAMBERT, Lacy T. / PFC / 6th / GRADUATE / Returned to Original Unit, KIA in 1945 while with his parent unit. LONG, Johnnie R. / SSG / 8th / GRADUATE / Assigned to Grimes Team, Later KIA on 16 Aug 1950, korean war. Mackie, David E. / SGT / Overhead Personnel-Supply Sgt. Swenson, George W.P. / 1LT / Staff-Instructor Performed two missions with McGowen early on.